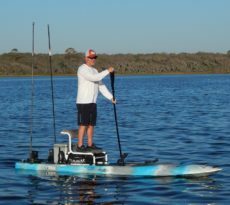 Steve Hall of West Wall Boats shares his thoughts on SUP fishing, and particularly of the Dragonfly 13’6″ from Dragonfly paddleboards. One of the perks of owning a kayak shop is that I get to try out everything that I sell. I deal with several different brands of paddleboards and kayaks. I also sell an assortment of fly fishing tackle. One of the most common questions I get asked is, “What type of kayak do you use”? Well I’ll explain…. I primarily fly fish; therefore I want a stable platform that has a nice smooth place to strip line onto. 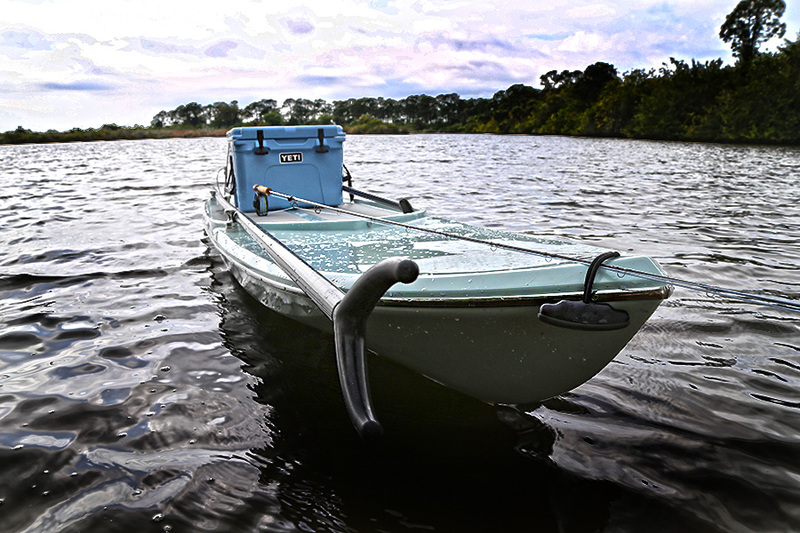 I chose the Dragonfly 13′ 6″ from Dragonfly Paddleboards as my go to fly fishing vessel. I have a kayak, a paddleboard and a 17 foot skiff. I spend about 3 or four days per week doing something in the water. However, I always find myself using the paddleboard more than everything else. I enjoy fishing small, out of the way places, that are (in my mind) undiscovered. The paddleboard is just an easy way to get to those places. I personally do not like a lot of gadgets on anything that I use, including my skiff. I am a minimalist. Fly rod, some flies, a pair of pliers, some leader material, a cold drink, and I am off paddling. The Dragonfly 13′ 6″ was made for my type of fishing. 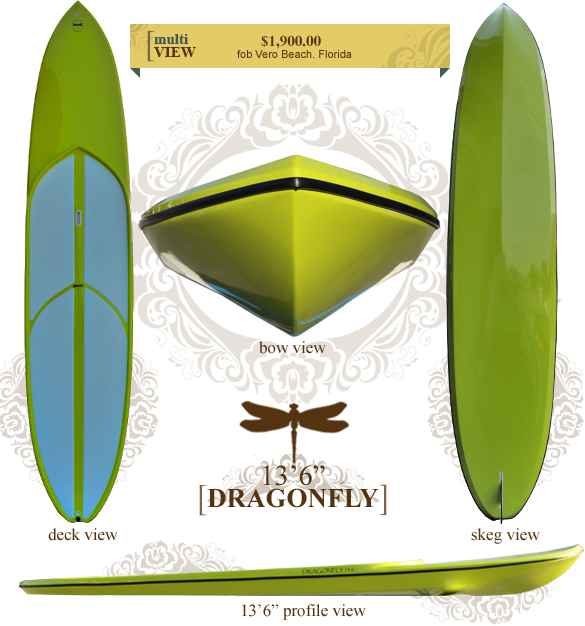 The Dragonfly 13′ 6” board is made in Vero Beach, FL and was designed by Mark Castlow. It is a two part construction similar to the way that a boat is made from a mold. The inside is supported by a polypropylene foam core. The material used to make the board is called Innegra. Innegra is a polypropylene type fiber that when woven can be used like you would use carbon fiber or fiberglass. It’s more buoyant, lighter, more impact resistant, and more abrasion resistant than fiberglass. 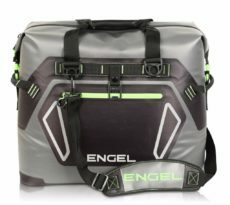 The finish on the board is gel coat and Dragonfly has a distinct, shiny gel finish that is like none that I have ever seen. When asked how you get your gel coat so shiny, Mark Castlow says ”that is our little secret.” The top of the board is finished off with either Ocean Grip or Sea Deck traction pad which comes in a multitude of color options and style options. 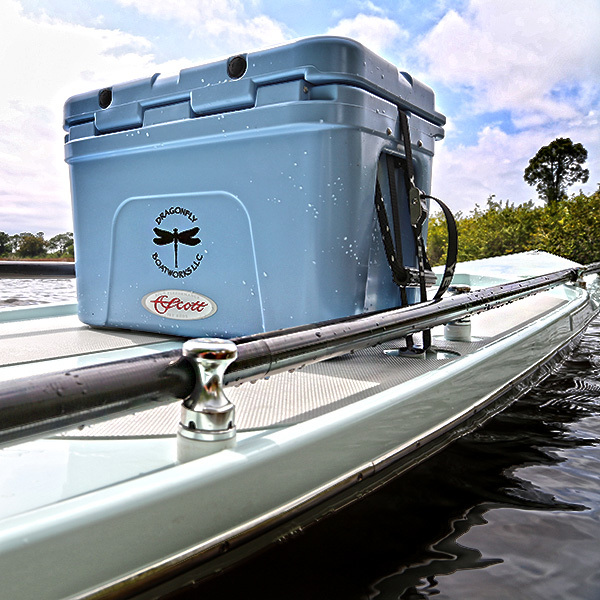 Dragonfly boards typically come with a removable Engel cooler but Yeti coolers can be mounted to the board as an optional upgrade. The company offers custom LED lighting, a shallow water fin to replace the standard board fin, and there is even a back rest option. The starting price for these American-made beauties, is approximately $1900, depending on the way you trick it out. One of the boards we ordered for a customer was fitted with V Marine custom push pole holders and a matching blue Yeti cooler. I think all the new board companies have some great and innovative ideas and Dragonfly is right there with them. SUP fishing is not for everyone, but for those that choose to stand, it can become addictive. One of the things that you should do: definitely use a board with a cooler. Having a cooler to sit on helps lower your center of gravity, when you reach down to grab a fish. When you are on a sup bending over, is not that easy. You will find that you are either sitting down, lying down, standing, or on your knees when you don’t have that cooler seat. The Shallow Water fin is a big consideration too and, in my opinion, a must have. You are limited to how long your fin is. If you have a big fin and want to fish shallow or skinny water you may want to consider finding a smaller fin to help you get in to that shallow water. Most consumers I deal with, overlook this simple fact. Anchoring for sure, is an issue. Dragonfly offers an internal hidden, front and rear anchoring system that will lock you in place on any flat, but for most boards a simple stick-it anchor that can double as push pole will do the trick. I enjoy my SUP and keep it with me most of the time. I think that if you are up to the challenge, you too might enjoy fishing on a SUP in some sketchy place that is out of reach to everyone else. For more on the Dragonfly Boards visit www.dragonflypaddleboards.com or come visit Westwall Boatworks to see one in person. 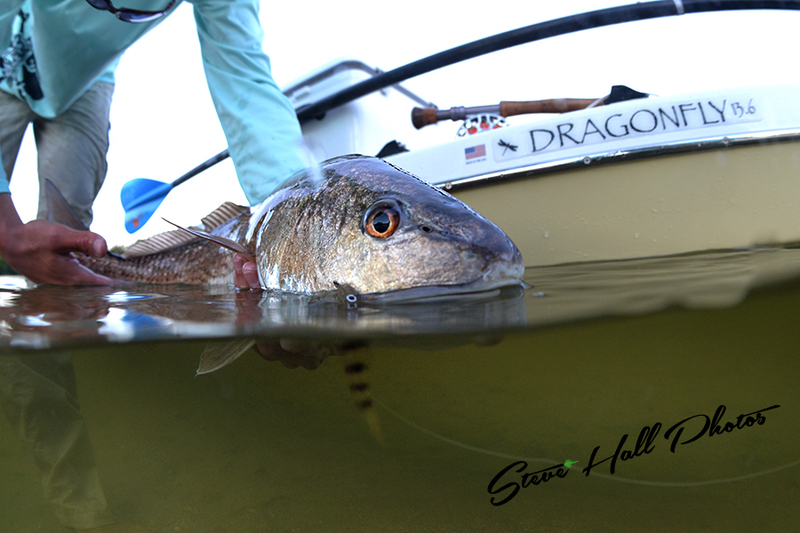 Captain Steve Hall is the owner of West Wall Boats in Port Charlotte Florida, a Fly Tackle Shop and a Shallow Water Outfitter. Steve is also the owner of FlatsPirate Charters and guides in the Port Charlotte & Sarasota area. You can find him at WWW.WESTWALLBOATS.COM. Is there much of a difference in the inflatable paddle boards like these: http://www.paddleboardstop.com? It seems like these would be easier to transport. Henna, it’s my understanding that inflatable paddleboards are pretty structurally sound. I guess a lot would depend on the user and where you’d be paddling the boards. For me, I’m not so sure about inflatables as I fish primarily in NE Florida where we have razor sharp oyster mounds. Very nice platform! I Think that would cover a variety of inshore and bass fishing excursions nicely. The weight is good too, I am about 265 so that still leaves room for a tent and cooler on an over night expedition. It looks like they moved to http://www.shoppingblox.com/paddleboards. Still the same stuff.